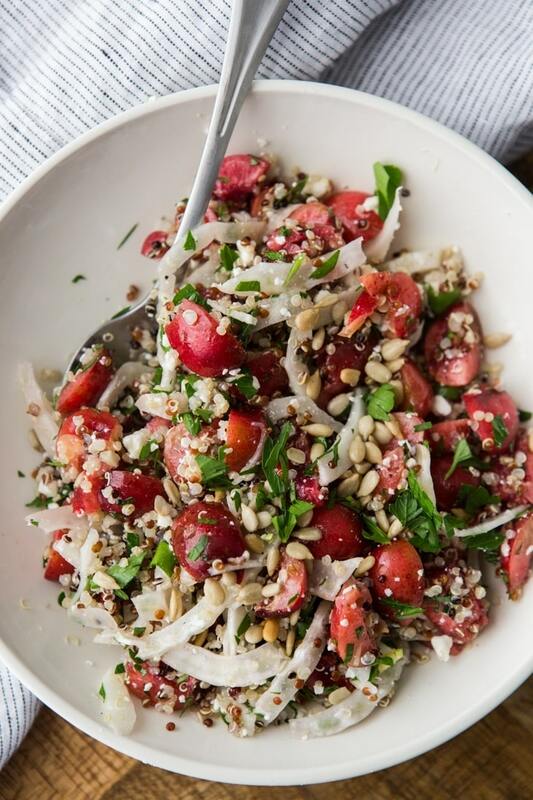 Cherry Salad with Quinoa and Fennel | Naturally. Growing up in Illinois, I felt like I received the quintessential summer. Pools would open on Memorial day just as schools were letting out which made every kid excited. We measured the summer’s progression based on height of the corn (and I don’t think there was a year that went by that we didn’t comment about how ‘knee high by the 4th of July’ was extremely outdated in today’s farming). And some of my favorite days happened when a good cold front pushed a summer storm through to cool off the high temperatures/humidity. Summer also means salads, and tons of them. Over the years my definition of salads has gotten extremely loose. Early on, a ‘salad’ meant iceberg lettuce some tomatoes and croutons followed by a healthy squeeze of ranch dressing. I progressed out of that stage and into ones using a variety of greens and homemade dressings (which are still on my menu) to grain salads. I suppose it would be easily to call these a grain bowl but I hold these types of salads up there with the macaroni salad of traditional cookouts. It’s perfect to make ahead of time, share with a crowd, and while macaroni salad hardly ever changes, the possibilities for grain salads are endless. This is actually the first of two grain salads I’m sharing with you this summer that use fruit as the star instead of vegetables. 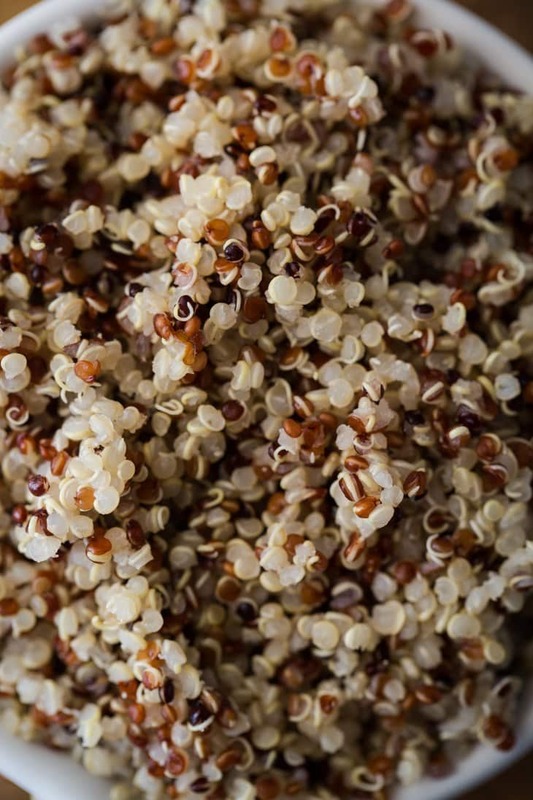 Cherries are perfect for this type of recipe because they hold their shape well and aren’t overly sweet which I think pairs well with the strong flavor of the fennel and heartiness of the quinoa. I used Ancient Harvest’s quinoa blend that has red, white, and black quinoa (I like the color differences) for this cherry salad but you can obviously use what you have on hand (I also have a sneaking suspicion that using all black quinoa would look super neat with the red cherries). Combine ingredients for the salad in a bowl and toss to combine. In a small bowl, whisk together oil, juice, zest, honey, salt and pepper. Pour over the ingredients for the salad and toss until well combined. Adjust ingredients as desired. This totally counts as salad! And it looks just fantastic to boot. This is exactly the kind of thing I like to make in a big batch and eat for lunch all week. Delicious! I love quinoa in salads, and I always add a little fruit, but I’ve never used cherries. Sounds interesting, I’ll have to try this one. Salads are so perfect for a summer meal. 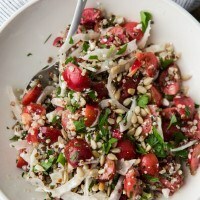 I love the combination of cherries and fennel with quinoa. This might need to happen tonight. Summertime does make salads even better! 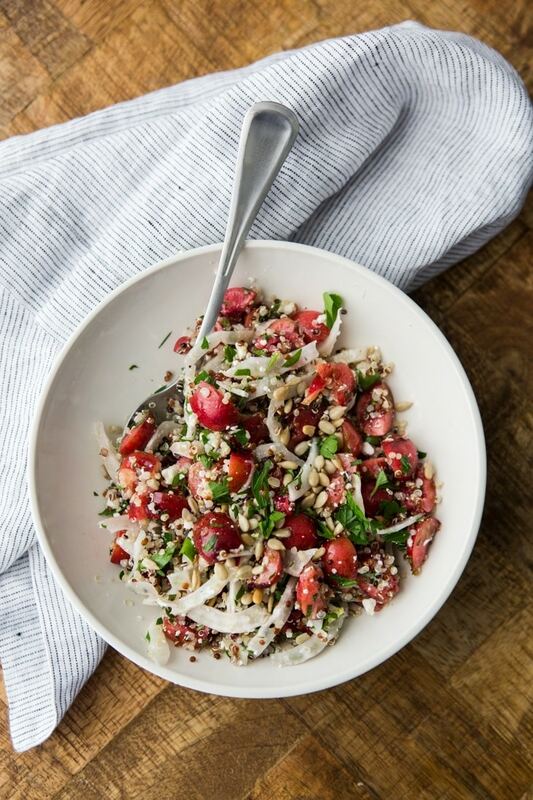 Quinoa, fennel and cherry is definitely a great combo. Without a doubt, your salad is easy, refreshing and most of all – it’s healthy! 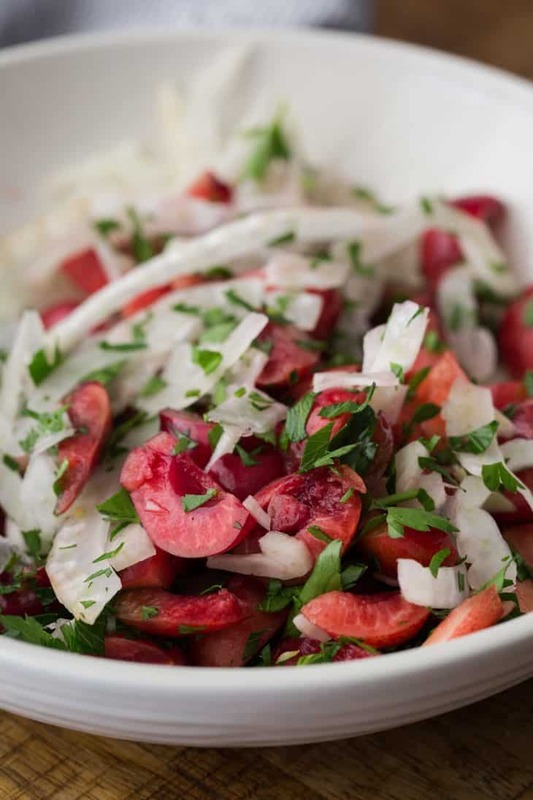 I know I am going to love this salad, cherries and fennel, a lovely combo! I would sub out the fennel in favor of something of similar texture but with a flavor I like better. Apart from that, this salad sounds absolutely wonderful. 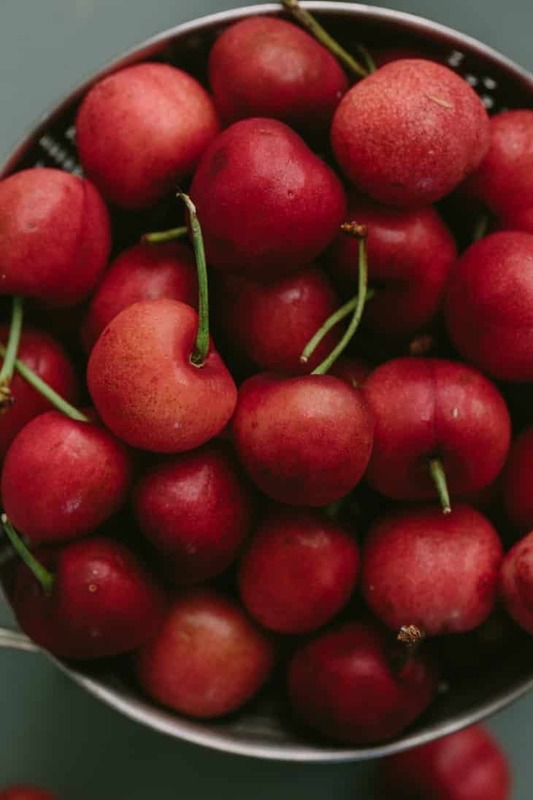 The cherries in our market are perfect right now and would be scrumptious in this salad. Such a pretty dish! Oh, I really love the looks of this salad and its potential to be made ahead and served at picnics. Definitely making this! This salad looks delicious. I have a family reunion coming up and I think I will make this salad. Cherries and quinoa sound fantastic together. What a Nice recipe! The idea of ​​fruit in salad is very special but a Nice idea. It looks very healthy and a nice idea to eat on a warm summer evening. It is quickly prepared. And also quite simple. It would also be nice with bacon, fits well with the feta. 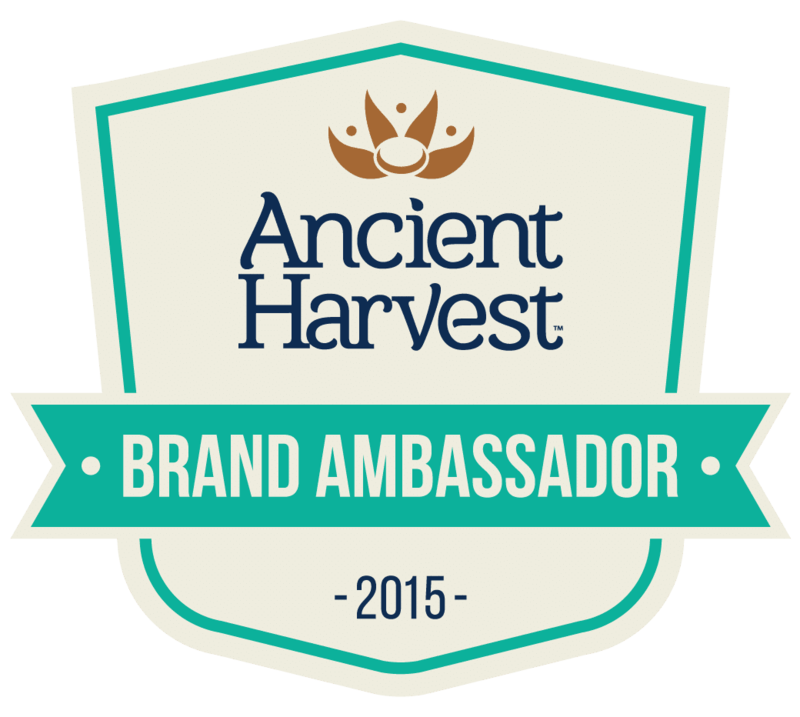 Only then is it no longer vegatrical… I Will certainly try this out!